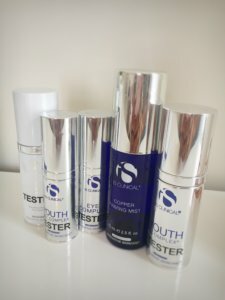 Skin improvement thanks to IS Clinical - a self test! The product range is small and on point. 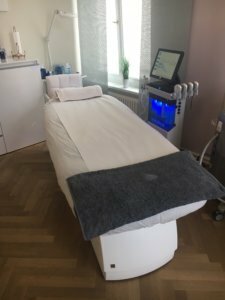 We visited the Laser One Institut in Berlin in the beginning as it is crucial to start with a kick-off treatment before using the IS Clinical products at home. We felt komfortable immediately in the light and stylish ambience! Also thanks to Maria who competently explained the procedures and treated us subsequently. The IS Clinical products are different from others due to their included active components, she said. All products are free of PHBs, silicons, perfumes and animal experimentation. The products series were developed in Hollywood by biochemists and dermatologists and uses natural pharmaceutical ingredients and active components. The best results are achieved due to the active components, the converting of the active components at the manufacture in Manufaktur in Los Angeles and their patented technologies. In addition part of the concept is also how to use the products to get the best results! It all sounds great! But does it work? 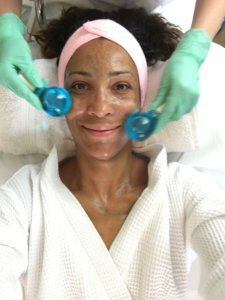 To chase away my hyperpigmentation I get two anti aging Fire & Ice treatments. 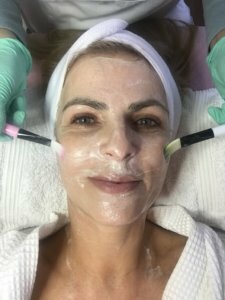 Each treatment consists of two face masks which remove the skin softly without peeling. Then it gets smoothed and hydrated intensely. My skin gets warm and prickles pleasantly. 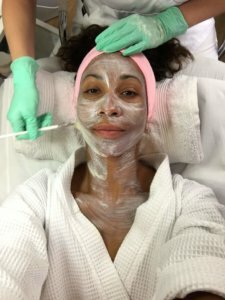 It is supposed to get smoother with more delicate pores and reduced pigment spots through this procedure. Then Maria uses cooling glas balls to refresh and hydrate my skin. My skin was already ,ich better after the second treatment! Right after the first treatment my skin already felt so much better! And I had the impression that even the pigment spots appeared to be a tiny little bit lighter. But that was only the beginning. Ever since I use meticulously the serums and corresponding creams in the morning and in the evening. Over the past weeks my skin has improved significantly. The Fire & Ice treatments were the perfect base for the subsequent usage of the IS Clinical products. The result can be seen clearly now after two months where I have even been in the sun quite often! After two months the difference is huge! Of course I wanted to know what I used exactly! The products that had helped me to reduce my Pigment spots are a combination of complex active components. Both the White Lightening Complex and the White Lighteting Serum take care that my skin doesn’t produce any melanin and in addition supply my skin with everything it needs. The creams contain kofi acid and arbotin for example. Both constrain tyrosinasis enzymes which are responsible for the production of melanin. On top Norwegian alga extracts is part of the formulation which supports cell renewal, cleanses intensely and reduces infections. Blueberry extracts and silver hair gras Hydrate the skin and renew collagen. 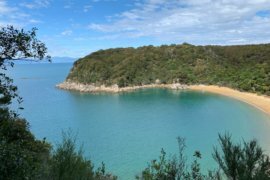 And as sun screen is always part of all IS Clinical products I could also get some sun and even swim. I have tried several sun screen already. However my skin felt best with the physio-chemical protection by IS Clinical which is oil and perfume free and ultra light. As I work out a lot outdoors and need to protect my skin from the damaging sun rays this was extremely important for me! 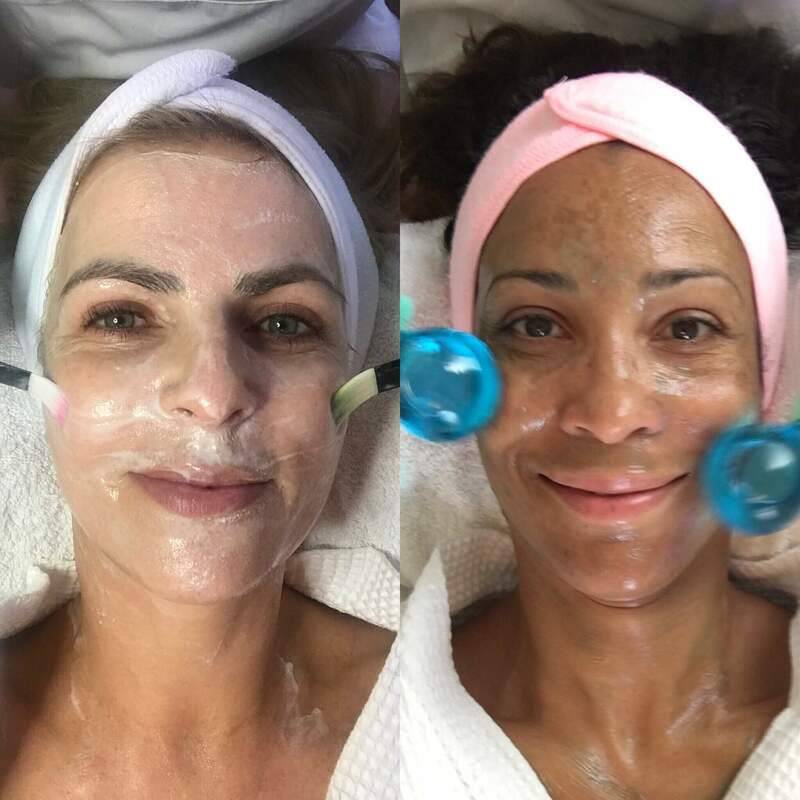 Tanja also gets two anti age treatments each with two face masks which are highly suitable for sensitive skin. The masks are cold and therefore don’t irritate the skin. 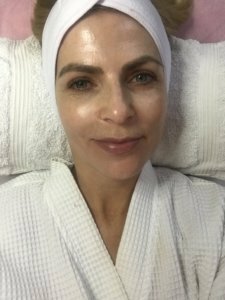 Maria uses the IS Clinical super-serum with papaya und pineapple enzymes on a pharmaceutical level for the Foaming Enzyme Masque. It contains many anti aging active component which smoothes the complexion. 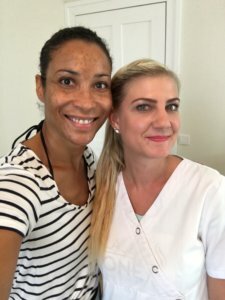 You could see the effect right after the first treatment as Tanja’s skin is smoother and plumper. But she needs to start her continuous treatment now as well! 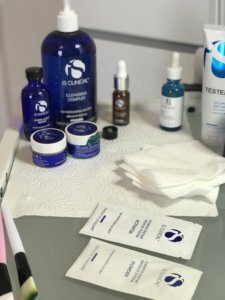 Ever since she got her first treatment she uses the Youth Intensive Creme with growth factors, vitamin C, hyaluronic acid and SAD, which is an enzyme our body produces. So again power anti oxidants and high-tech active components were combined. 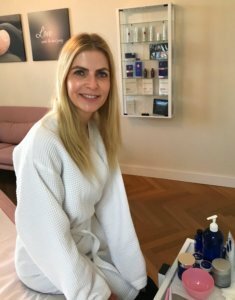 The products are supposed to push Tanja’s collagen to get a beautiful smooth skin. For her the Youth Eye Complex with active components that are supposed to prevent Tanja’s skin around her eyes to become thinner is crucial. In addition she uses a special sunscreen which contains a multi-level broadband filter, antioxidants and a special patented technology. Through this her cells will be simultaneously repaired which has an anti aging effect again. the clou: this sunscreen can also be used as and after sun lotion after a sunburn. Tanja is – same as me – very happy with the results. Due to the treatments and the regular usage of the products since then her skin has improved significantly. I am extremely happy that my pigmented moles disappear slowly but surely. Up till now they have changed into unimposing freckles which will also vanish step by step. 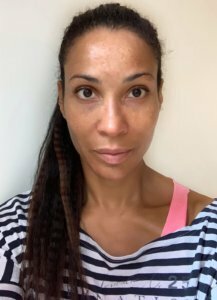 Tanja’s skin around her eyes is less creased and her skin is in general more youthful. Of course you need to stick to the procedure and most of all use sunscreen. After THESE result we will of course! 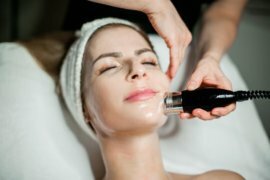 You will find more beauty tipps here!